Contemplating buying a new Loft or remodeling the one you have? Before you call your real estate agent, hire a designer or head to your local Do-It-Yourself superstore refine your ideas by creating an idea book. An idea book, exactly as the name implies, is a repository for all the ideas you have about what you’d like. These include style—Historical, Low Rise High Rise, Soft Loft or Hard Loft—colors, size, layout and all the other things that go into the perfect Loft of your imaginings. Using a notebook or scrapbook, include cutouts from magazines, advertisements and brochures. Or, hang pictures on a corkboard or stick them up on the refrigerator. You can go simple with a notebook, scissors and glue stick or fancy with a 12″ x 12″ scrapbook with decorative pages and embellishments in slip-sheets. Using Houzz, Pinterest, Photo Stream or other virtual options helps you focus on what you really want. In fact, many contractors suggest using one of these boards to help you show them what you’re really looking for. At first, add whatever tickles your fancy. If you see it and like it, stick it in the book or on the board. Your idea book might seem cluttered and disorganized at first. 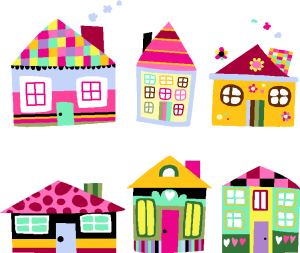 You can help this by dividing it into sections such as: rooms (kitchen, bath, living), architectural style (mission, craftsman, modern), colors (blues, greens, reds or cool vs. warm), even feelings (happy, restful, family-friendly). As your ideas grow, reorganize the sections or re-combine images and colors to whatever pleases you. Over time, you’ll refine what you like. You’ll notice that you’re drawn to a certain style Loft, specific types of cabinets and finishes, flooring, fixtures and countertops, even distinct roof shingles and slopes. You’ll see drawer pulls and doorknobs appear over and over in your additions to your book. Get as specific as possible, or leave yourself open to options, but use your idea book to frame the things that are most important to you. When a dominant style, color or type appears, move it to the front of the idea book and narrow down your choices even more. Go look at samples of tiles for the backsplash, flooring and hardware. Take pictures of what you like with your smart phone and add them to your board. Look at model Lofts and attend open Lofts (but if a Loft is occupied, get permission before taking pictures). When you keep coming back to the same images, you have a pretty good idea of what you want. Take time to remove items that no longer inspire you or that you realize don’t work for your situation, family size, living style (i.e. do you truly want a formal dining room, or just a bigger family eating area?). Now, you can take that book to your real estate professional or designer to get an idea of how to locate the perfect Loft for you, or remodel the Loft you have into the one of your dreams.